Familiarizing participants with modern strategies in the security and safety rules and risk management in the work environment, and identifying the risks of workshops, laboratories and electrical appliances in general. Enabling participants to acquire the skills to deal with the risks of fire, explosions and threats of subversive acts. Enabling participants to acquire the effective behavioral and professional skills for the security and safety man in public and private institutions and buildings. Providing participants with the necessary expertise and experiences in safety procedures in accordance with the OSHA standards (US Occupational safety and Health), and the OSHA standards for fire prevention at enterprises. Supervisors and assistants of occupational safety and security units, working in the occupational security and safety sectors in the public and private sectors or community organizations with institutions and buildings that require risk management, occupational safety and security systems, those who are rehabilitated to perform these tasks effectively, and those who are desirous to develop their skills in the area of occupational safety and security. The concept and rating accidents and risk management. Occupational safety and security strategies. Risk management in buildings and installations. Safety measures against workshops and laboratories risks. Safety measures of electrical appliances risks. Safety measures of physical risks. The risk of elevators, and the risk of heat. Radiation risks, heat risks and how to deal with them. 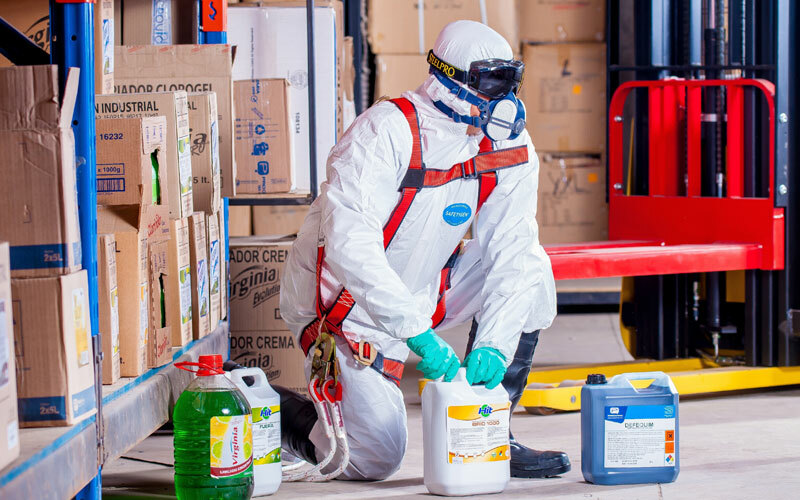 Leakage of hazardous chemicals and flammable gases. Threat of terrorist bombings and acts. Biological hazards and how to deal with them. General rules and principles on fire. Fire types and materials used in firefighting. Fires and explosions and dealing with them. Escape routes and organizing them. Principles and foundations for the development of Emergency plans. Behavioral skills of an effective security man. Security and safety rules and work environment risks. Safety measures according to OSHA standards (US Occupational safety and health). OSHA standards for fire prevention at installations.